SPRINTSKIN is used in the construction of the F50 adiZero TRX and is a revolutionary single synthetic layer which helps minimise the weight. At the same time as making this boot amazingly light the SPRINTSKIN also allows for maximum ball-contact and feel. 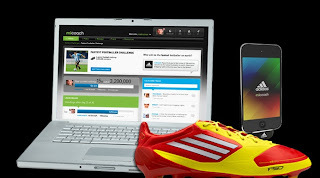 The F50 adiZero TRX upper incorporates adidas patented SPRINTWEB for excellent stability in high speed moves and dribbling with abrasion resistant kicking zone. The interior heel is constructed with a lining with a plush foam underneath to provide protection and maximise comfort . The variable width lacing system is off centre and follows the natural contour of the foot to provide a better anatomical fit and feel to the F50 adiZero TRX . An independent movable tongue provides a better fit and two slits at the top of tongue produce a customized fit for any foot size. A removable anatomically shaped insole with synthetic suede finish provides the F50 adiZero TRX comfort throughout the duration of the game, no matter how long it lasts. Under the removable insole is pod where the miCoach sensor is stored during play. 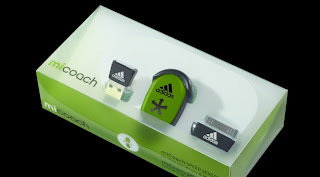 The adidas miCoach will provide you with the capability to easily measures time, distance, speed, speed zones and number of sprints during training or a match. 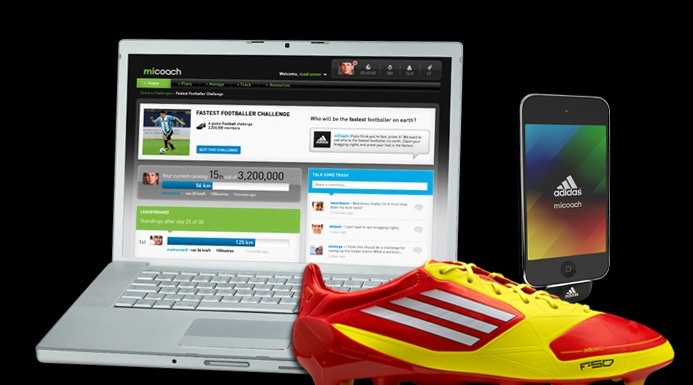 This can then be downloaded on to a pc or iPhone application to be analysed. 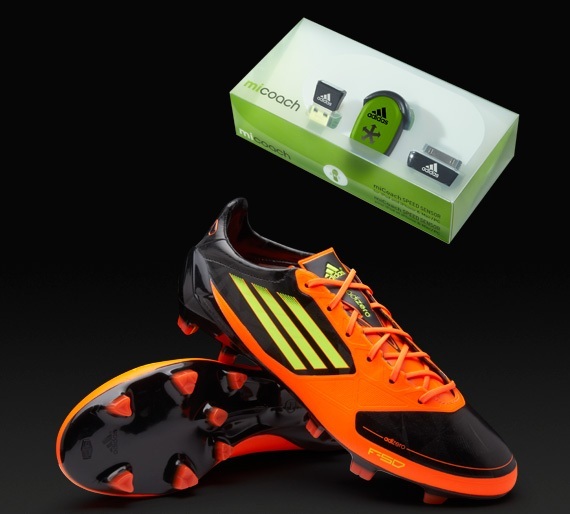 Everything you need unlock your brain in your boots is included in this F50 adiZero TRX FG Pro Pack Bundle. 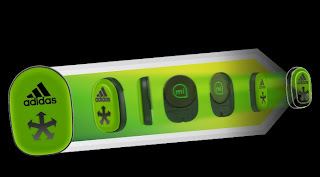 The outsole of the adidas F50 adiZero TRX Firm Ground has a sprint frame construction which uses geometrical learnings and a new stud shape to offer the perfect balance between lightweight and stability. This version of F50 adiZero TRX has a mix of moulded TRAXION2.0 stud shape for maximum acceleration and speed on dry and firm ground surfaces.